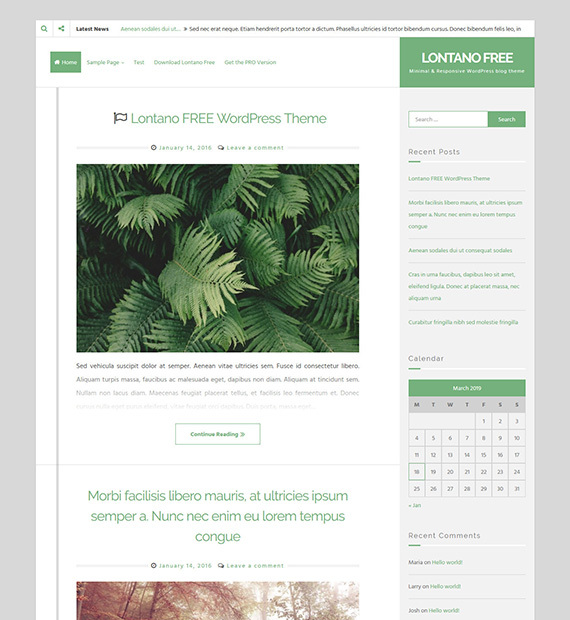 Lontano is a free WordPress theme that was built from the ground up to be lightweight and minimalist. With this theme, you can give your Blog or Magazine site a fresh look. Everything about this theme is designed to ensure that your website is lightning fast. It is also highly responsive and will look beautiful on all devices regardless of the screen size. Furthermore, Lontano is also translation ready and has RTL language support. With the unlimited color options and custom background, you will be able to change everything to suit your needs. Want your users to stay hooked on your site? Embed images, videos or any type of media files onto your website as it supports multiple post formats.